Hyperhidrosis is the medical term for excessive sweating that is commonly a chronic condition affecting an estimated 7.8 million (or almost 3 percent) of the U.S. population. 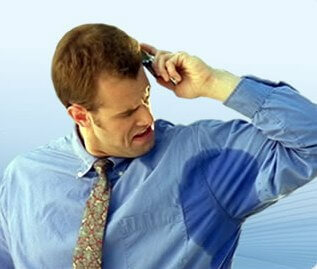 People with hyperhidrosis produce an amount of sweat that far exceeds that needed to regulate body temperature. The condition most frequently develops in adolescence or young adulthood. The underlying cause of the disorder is uncertain but genetics may play a role — one-third to one-half of people have a family history of the disorder. Hyperhidrosis commonly affects the underarm sweat glands, but can also affect the palms of the hands or the feet, or the whole body in general. Severe sweating may be exacerbated by stress, emotion, or exercise, but often occurs for no apparent reason. In people with hyperhidrosis, the nervous system may produce too much of the neurotransmitter that regulates “involuntary” bodily functions (those we don’t exert conscious control over) such as breathing, the heart beat, and regulation of body temperature. This causes the sweat glands to overreact to those signals. Depending on its severity and the area affected, treatment for hyperhidrosis may require one or more approaches. Powders, ointments, and electrical stimulation are often tried first. The effects are temporary, however, and may last for just a few hours, sometimes up to a week. Medications that block the neurotransmitter stimulating sweat production may also be prescribed, and may be particularly helpful for sweating that affects several parts of the body at once. BOTOX® or Xeomin® injections are a minimally invasive treatment to help patients with severe primary axillary hyperhidrosis (excessive underarm sweating) for up to 9 months. 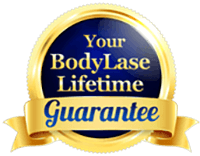 Contact us if you are ready to Stop Excessive Sweating NOW!